The Coba ruins are a set of architectural remains from a Mayan city that spans a unique area with a lagoon on either side of the property. The site was built in the Late Classical Period, over 1,000 years ago. 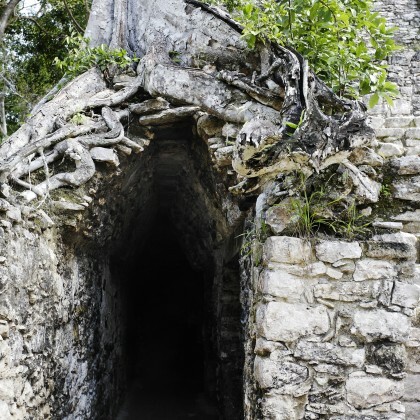 We offer a Coba tour from Tulum, which is a popular destination, not far from the sites of these ruins. 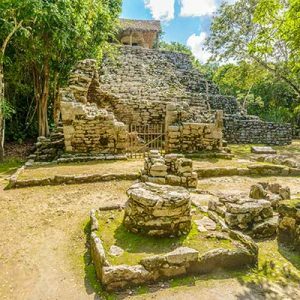 With 16 houses, a temple, and other architectural samples, many people are quick to take up the opportunity to view this unique Mayan city. While many parts of the city show signs of wear and tear, there is still plenty to see. Tourists can walk among the houses and see some of the elevated walkways. 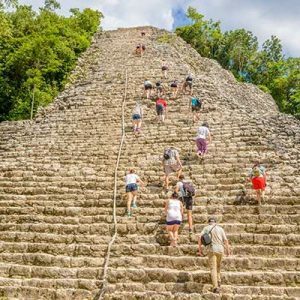 Many of the tourists who decide to take Coba tours from Tulum do so because it is one of the few cities with a pyramid that you can still climb. 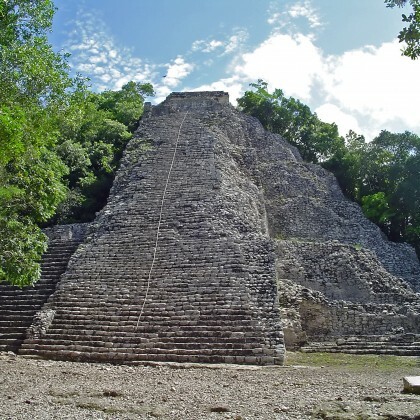 After 130 steps, you reach the top of the Nohoch Mul Pyramid where people used to travel to practice their beliefs. Not only can you see the top of a masterfully built pyramid but you can look out and see one of the most amazing views. 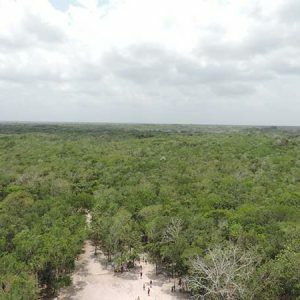 From the top you can see the Yucatan as well as the whole Coba site, including parts that are not open to the public. At the top of the Nohoch Mul Pyramid you will be able to see out over a few of large bunches of vegatation. These are other pyramids of the site that have yet to be excavated and might one day be open for viewing. 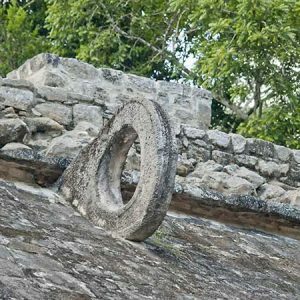 Every year many tourists opt to visit the site because it is heralded as one of the most interactive and explorable of ancient ruins left by the Mayans. 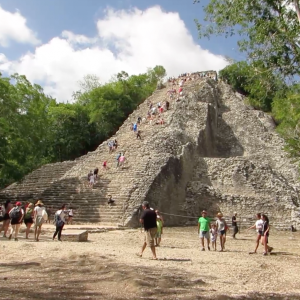 Pyramids in other Mayan ruins have started to become closed off due to the fall risk and safety issues. There are also many different parts of the site you can investigate and walk around in. Be aware that climbing the pyramid will take you 137 feet above ground and you will be seeing the ground on your way down! 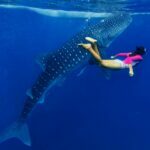 While this may be an amazing experience for most, some might opt to walk around the area while others climb up. The site is big enough that those who tour it can also decide if they want to rent bikes to get around the site so that they can see as much of it as possible. These are available at the site and you do not need to bring your own. 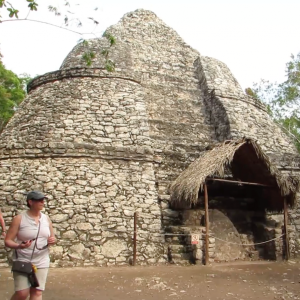 Our Coba Express Tour is one of the most popular Coba tours from Tulum that we run. 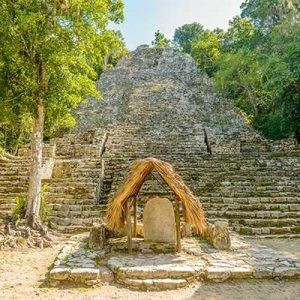 The tour picks up guests at their hotel between 8 and 8:30 in the morning and then you will be back at the hotel between 2 pm and 3 pm, with plenty of time to take in the Coba ruins. 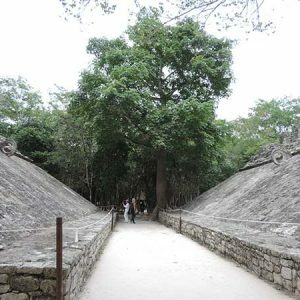 The trip to and from Coba will be given in an air conditioned vehicle to help you enjoy your trip. At the ruins you will have an hour with a certified guide. This person will be able to show you all of the points that you absolutely cannot miss. 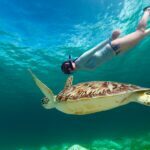 Each guide is hand selected and chosen because of their experience and language skills. 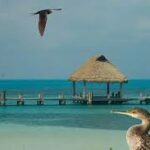 We also choose them to provide amazing experiences. 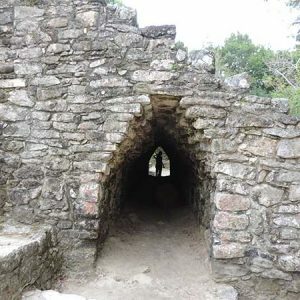 After the tour you will also have an hour to roam about the ruins and explore by yourself. 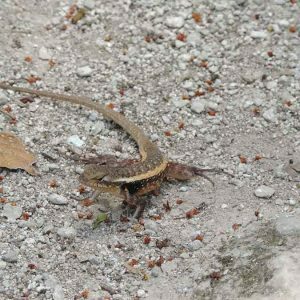 Central Tulum pick up approximately 8:00 – 8:30 a.m., Tour returns between 2:00 – 3:00 p.m.